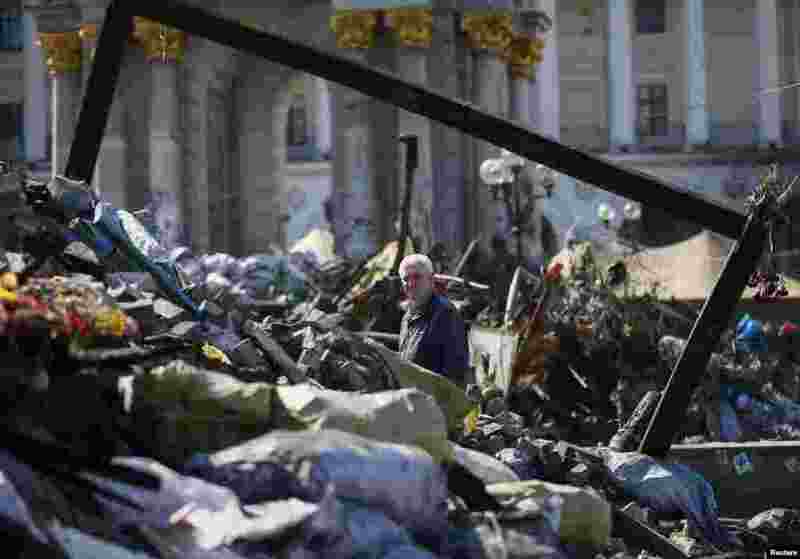 1 People pass by barricades near the Dnipro Hotel in Kyiv, April 1, 2014. 2 Self-defense activists pass by the Dnipro Hotel in Kyiv, April 1, 2014. 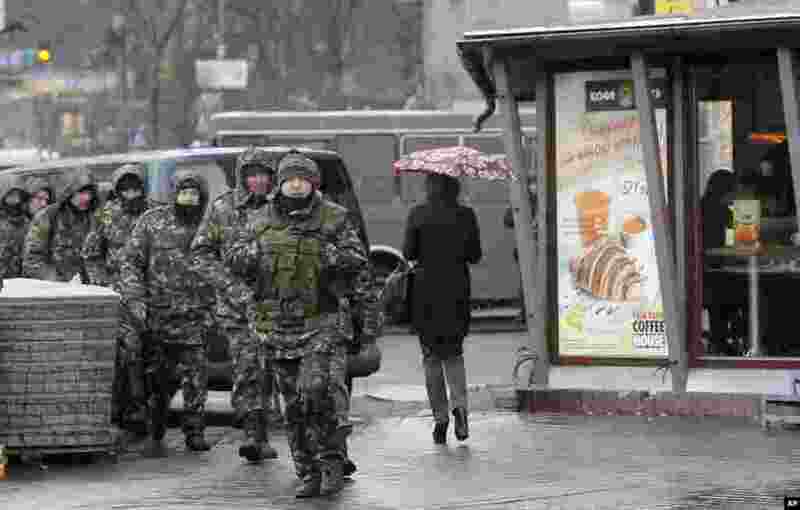 3 Members of the Ukrainian far-right radical group Right Sector leave their headquarters in Dnipro Hotel as police special forces stand guard, Kyiv, April 1, 2014. 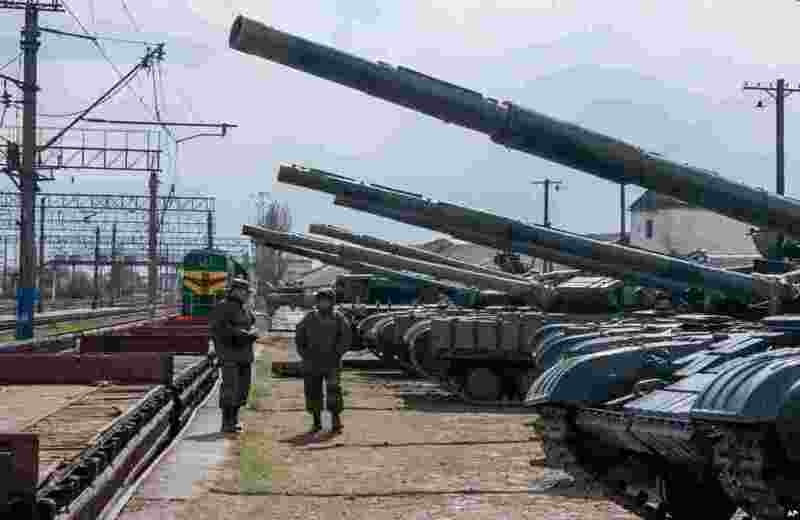 4 Commuters walk along railway lines next to Ukrainian tanks ready to depart from Crimea near Simferopol, March 31, 2014. 5 Russian Prime Minister Dmitry Medvedev visits Crimea to consider priorities for its economic development, Simferopol, March 31, 2014. 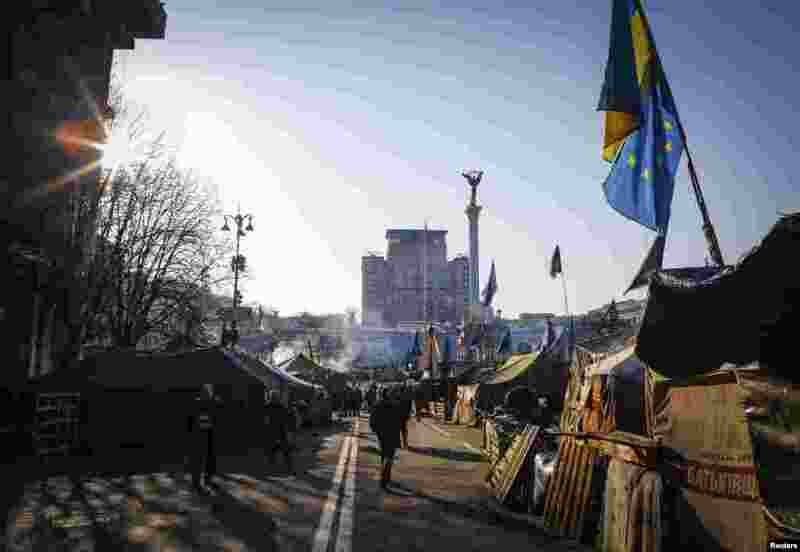 6 People walk through the 'Euromaidan' protest camp in Independence Square, Kyiv, March 31, 2014. 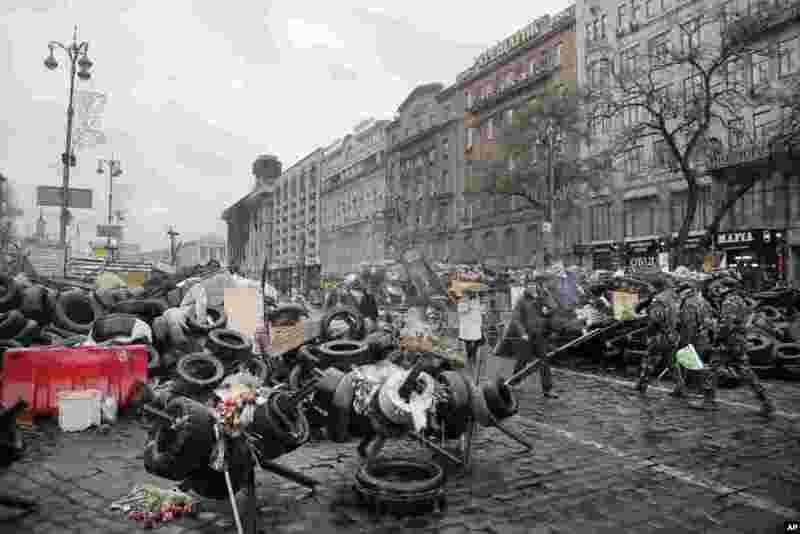 7 Ukrainians, in accordance with Orthodox church tradition of marking the 40th day since death, remember those who lost their lives during pro-Europe protests in Kyiv, March 30, 2014. 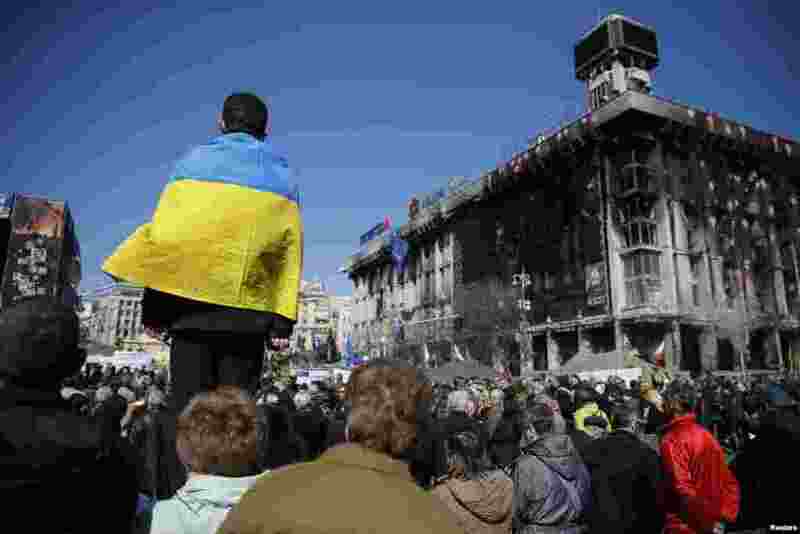 8 ​Ukrainians attend a religious service in Independence Square remembering the deaths of more than 100 pro-Europe protesters, Kyiv, March 30, 2014. 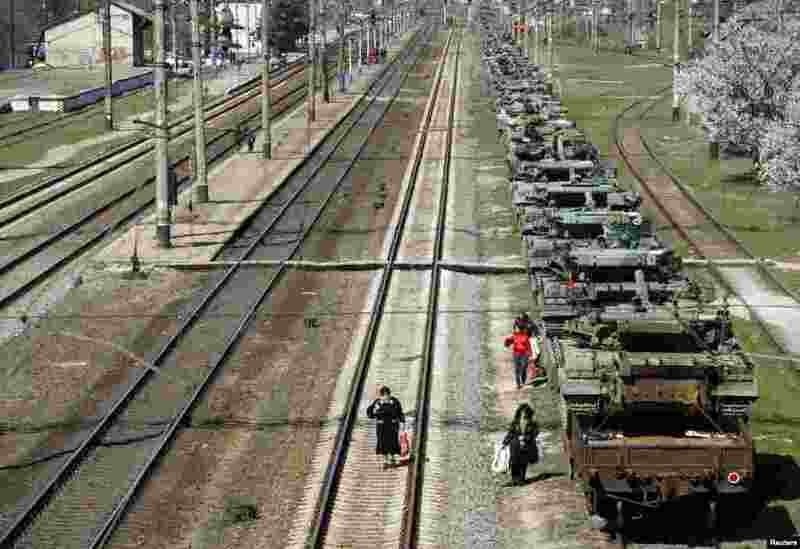 9 Ukrainian armored vehicles are prepared for loading onto a train at a railway station near Simferopol, Crimea, March 29, 2014. 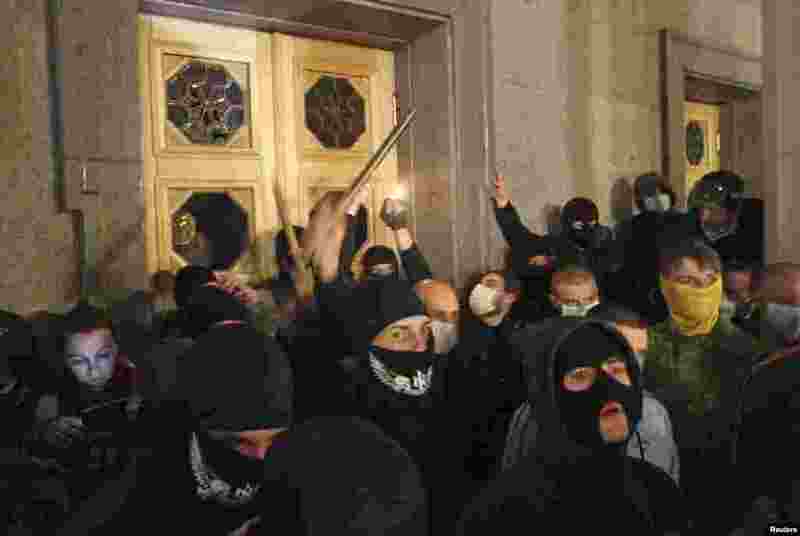 10 Activists of the Right Sector movement and their supporters gather outside the parliament building to demand the immediate resignation of Internal Affairs Minister Arsen Avakov, in Kyiv, March 27, 2014.